Roy is a heavy-drinking criminal enforcer and mob hit man whose boss, Stan, a New Orleans mobster, sets up Roy in a double-cross scheme to have him killed on the very day that Roy receives news that he has lung cancer. Roy anticipates Stan’s plan, however, and ends up killing off the hit men before they can complete their job. In the bloody aftermath, Roy discovers Rocky, a teenage prostitute on the scene, who he takes with him, saving her from imminent peril at the hands of Stan and his goons. Roy and Rocky look to escape pursuit by holing up in Galveston, Texas, a place that Roy knows from his mysterious past. On the way, Rocky convinces Roy to make a stop, and they end up with Rocky’s 3-year-old sister, Tiffany, who she retrieves from her stepfather at gunpoint. Living for a time in a run-down motel occupied by guests of questionable motive, the trio form a bond unlike any Roy and Rocky have experienced before. Roy needs to find a way to close the book on Stan, while at the same time aiming to provide the seeds of a hopeful future for Rocky and Tiffany. But dangers from Roy and Rocky’s past are closer than Roy knows, threatening any glimpse of salvation. Moviemeter.nl:Â Hoe simpel het verhaal ook is en vervolgens verloopt, het duo blijft biologeren. Voeg daaraan een mooi gefilmd en spannend slotstuk toe, en een ontroerend einde maakt 't af. Lees de hele review hier. Rogerebert.com: Some of the darker, more brutal edges of the film hinder it at times as Laurentâ€™s poetic visual eye and the stark ugliness of what happens here can feel at odds. But even when the movie struggles with a lead character who is kind of reprehensible, Foster and Fanning hold it together. TheHollywoodReporter.com: Actor/director Melanie Laurent makes her English-language directing debut with Galveston, a seedy but sincere and strikingly attractive picture. Boomhowdy.com: For Fanning itâ€™s yet another feather in her cap, adding to an already impressive body of work thatâ€™s sure to extend for decades to come. She slides into the sweet and naive part with minimal effort. One can easily understand why Laurent has made mention that Fanning was her first and only choice for the part. Itâ€™s Ben Foster though, who cements himself as a consummate actor of note, with his understated, but impactful role. TheFilmstage.com: Foster and Fanning are predictably great together, cut from the same bayou cloth. Moveablefest.com: Melanie Laurentâ€™s â€œGalvestonâ€ Is So Good It Should Be Criminal. The French writer/director comes out with guns blazin' in her first American film. Vanyaland.com: But coming in at a brisk 90 minutes, Galveston is a neo-noir model of narrative efficiency anchored by excellent work by two of our finest actors, and a film that will hopefully serve as Laurentâ€™s introduction to the world of English-language cinema as something other than an actress. Birthmoviesdeath.com: The details that make up a great lurid chronicle are here. 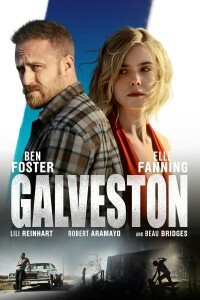 Movietalkwithjakesalinas.com: Galveston is a very, very well made crime thriller. Itâ€™s a simple idea and a simple tale, but itâ€™s done so effectively thanks to a great writer-director, and an equally great cast. Filmschoolrejects.com: Galveston proves the right performers can make any tune dance. Austinchronicle.com: Galveston is a deeply touching exploration of the harsh world that shapes its tragic main characters. Bleedingcool.com: Galveston is tough to watch at times, but with the compelling performances, slow burn pacing, and gut punch ending, it really delivers in the end. Behindthelensonline.net:Â osterâ€™s Roy Cady is a man of little words and speaks with physicality, be it by physical strength or shoulder lowering humility or shame. Fanning finds the perfect balance of naivete and emotional growth for Rocky. Together itâ€™s impossible to take your eyes off them. Three nerdy college freshmen, Ethan, David, and Justin, are having a tough time adjusting to college life. Rejected and ridiculed by just about every fraternity on campus, they are prepared to give up all hope. That is, until a beautiful girl invites them off campus to a party at a secluded mansion. They are not only invited in, but are treated like princes by the resident brothers. The party is everything they dreamed college would be—beautiful women, drinking, and most importantly, a cool group of guys willing to accept them as one of their own. When the freshmen are presented with an opportunity to pledge the elite social club, they accept without hesitation. However, as the gruesome, dehumanizing hazing progresses, a more sinister picture of the club emerges. Moviemeter.nl:Â Â Er wordt degelijk gefilmd, goed geregisseerd en de schare gore weet prima te werken. Hele review hier. De Nachtvlinders:Â Mijn mening over ontgroeningen en studentenverenigingen zal ik hier niet poneren, maar misschien zegt het genoeg dat ik de tweede helft van de film met een grote grijns op mijn gezicht heb zitten kijken. Pledge is een bescheiden, maar zeer vermakelijke thriller. Hele review hier. Imagine Film Festival:Â Alles werkt binnen de eenvoudige opzet van deze film. De opbouw, de personages, de horror en de ontknoping â€“ het is allemaal heel goed gedaan. Meer info hier. Bloody-disgusting.com: For those that like their thrillers fast and warped, Pledge is an entertaining take on a familiar story. Partying, torture, death, and dark humor makes for a fun and sometimes gruesome watch. Ukfilmreview.co.uk: Phenomenally well balanced and containing outstanding performances across the board, this is incredible horror/thriller filmmaking. Thehollywoodnews.com: Pledge offers a fresh spin on the horrors of pledge life through this new genre angle. This film is a bloody and brutal burst of masculinity that packs a punch. Cinemaslasher.com: Pledge is paced perfectly, with many of the sequences unfolding in real time, which adds a suspenseful urgency to the film. Culturecrypt.com:Â a clear-cut slash of traditional thrills biting off only what it can chew with entertainingly sharp teeth. Nightmarishconjurings.com: A brilliantly crafted thriller. Haddonfieldhorror.com: Equal parts intoxicating and nauseating. Pophorror.com: Utterly insane and one hell of a ride. Thatmomentin.com: A grueling and brutal rollercoaster ride. Adamthemoviegod.com: A masterclass of gritty independent cinema, sure to go down as one of the best independent films of 2018. Dailygrindhouse.com:Â The film is gorgeously shot, a nasty piece of work to show off to your friends so that you can watch them cringe, and with the tight runtime, you just go in, get your hands and soul messy, and get out.Â A cutthroat, grueling experience. Dreadcentral.com: With the insane incidents that happen to the guys in this film, I feared if the overall concept of this movie had ever been done for an actual pledge. Filmthreat.com: Watching Pledge, I almost felt like I had found the loophole in the system and discovered that it doesn't take a big budget or a recognizable IP to sell a ticket. I was wholly entertained from the start to the finish. Eyeforfilm.co.uk: a solid little horror movie with plentiful unpleasantness.Filmpulse.net: A solidly crafted thriller. Modernhorrors.com: A Mean and Disgusting Home Run of a Horror Film. Donâ€™t miss this one. Nightmarishconjurings.com: A fantastic thriller that kept me entertained and on edge throughout its entire duration, and even surprised me at the end. Slashfilm.com: Pledge stakes its genre claim on fruitless anger, merciless abuse and satirical wit concerning what we're willing to do for popularity. In.ign.com:Â Margot Robbieâ€™s found her niche in intelligent, yet manic characters who delight in their homicidal tendencies. Cold and calculating, this role trumps her comic book criminal thanks to a grounded performance and justifiable reasoning for the madness. Theplaylist.net: Itâ€™s beautiful, if not brilliant, and fun to watch. LAtimes.com: Robbie is fascinating to watch. Eyeforfilm.co.uk: There's also Margot Robbie, whose film this is. Not just because she's got a producer credit, but because top and tail, ear to toe, she makes it. She's all the best things in the film, her ability to pivot (both figuratively and literally) made good use of in hauteur and heels, in pose and proposal, in all the ways so tragically underused by Suicide Squad. Doblu.com: A dazzling swirl of color and light play, saturating this noir with superior abstract visuals. Flickeringmyth.com: You can *never* go wrong with an unhinged Margot Robbie. Fitfully entertaining thanks largely to a scene-stealing, against-type performance from Simon Pegg. Joblo.com: Quite fun to watch Robbie and Myers mug around in this type of movie. 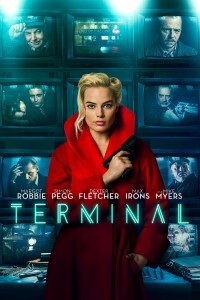 UKFilmReview.co.uk: Their chemistry is odd and welcome, and Pegg's delivery is particularly impeccable. A heist-gone-wrong in a quiet town results in multiple deaths – and a survivor, MacDonald, whose wounds left him unable to remember where the 20 million dollar is stashed. When a mysterious trio break MacDonald out of a mental hospital to recover the cash, they inject him with an experimental serum that sends his mind careening into other eras – and revealing the secrets of his mind. 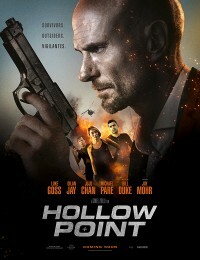 As a local cop (Stallone) and an FBI agent close in, MacDonald fights to recall the robbery before a long-forgotten enemy follows the clues and catches up to him. Backtothemovies.com: Sly shines in this compelling flick. 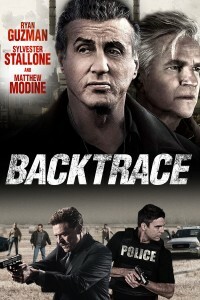 Backtrace stands above most of the straight to VOD actioneers with a compelling turn by Matthew Modine with a foundation of Sylvester Stalloneâ€™s on-screen gravitas. Blazingminds.co.uk: a movie that had me glued to from start to finish, with it opening with all guns blasting with Mathew Modine in a shootout when a heist goes wrong and then moving along with the introduction of Stallone character with the heart-pounding opening soundtrack. Alex is floating unconscious in a lake when light from a UFO of light saves her by enhancing her abilities such as telekinesis and healing power. Her friend Sean helps her. The authorities want her - not just for stealing a police car. Theglobeandmail.com: The rare example of an understated, effectively told young-adult yarn that places emphasis on grounded characters, nuanced performances and stunning visuals over convolution and clichÃ©s, Canadian filmmaker Jason Stoneâ€™s At First Light boasts unpretentious but exciting surface-level charms. Latimes.com: Stone doesnâ€™t explicitly ask the straightforward, big-picture questions youâ€™ll find in a film like â€œArrival.â€ But his attention to detail and character, and his ability to render those people in recognizable settings, is engrossing. RogerEbert.com: A lean, fantastical narrative, as captured with a slick look that is commendably achieved. Eyeforfilm.co.uk: A strong design, a sensitive script and good performances elevate it far above most of its peers. It has a strong emotional resonance that will appeal to teen viewers who have an appetite for something more thoughtful than most Hollywood offerings. Movie-freak.be: For the diehard SF enthusiasts, this film is highly recommended. Screen-Space: Feels gritty, human and real, despite its otherworldly premise. First Light builds to a soaring denouement (pumped by some demographic-appropriate musical accompaniment from M83â€™s Outro) that reassures the audience that, in this world or beyond, we are not alone. 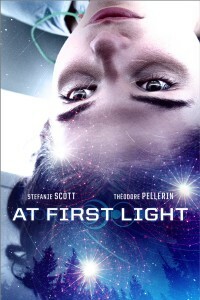 Slashfilm.com: First Light nimbly condenses similar, more complicated stories for a greater storytelling accomplishment. Stone succeeds as others have previously faltered. Film is nog niet uitgebracht, nog geen reviews beschikbaar.